Six back pain myths- busted! It may or may not surprise you to find out there’s a lot of misleading information about back pain out there- more specifically, about what to do when back pain strikes and how to prevent it from recurring. This has not only over-simplified how to treat back pain but also lead to some weird and wonderful rehabilitation strategies. Let’s bust a few of these back pain misconceptions. Physical fitness does have an impact on our spinal health, but it is more important that we are getting fit in the right way. Studies have shown that increasing abdominal strength through sit-ups causes stress on the discs in our back and compresses the lumbar spine- enough for researchers to conclude that sit-ups may cause problems in almost anyone. Have you ever tried to do this? Ever tried to do it all day long? It’s almost impossible to do this every single time we go to lift something. Forget the old squat technique, instead, the way you lift should depend on what you’re lifting, where you’re moving it to, your own build, how many items you have to lift and so on. For more information on how to lift correctly (and give your knees a break) click here. Not so, my friends. 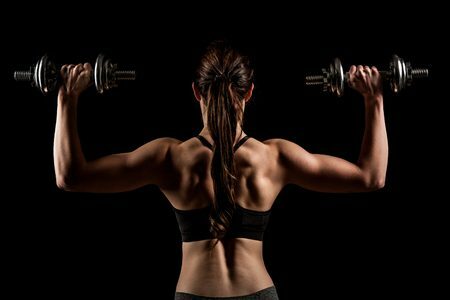 Muscle strength doesn’t help us predict who will or won’t get back problems, and focusing too much on strength instead of stability will be sure to cause problems. Instead, focus on muscular endurance (i.e. how long your muscles can sustain an activity for). Remember, muscles have three main properties: flexibility, strength and endurance. Any issues that results in a lack of flexibility, strength or endurance will be enough to stimulate the nerves within your muscles and start telling your brain that something’s wrong. What’s the end result of that? Pain. 4. Tight hamstrings and unequal leg lengths cause back problems. These types of issues are often given as easy diagnoses to simplify the cause of a patients’ complaint. Don’t be fooled. Some studies have shown that in athletes with ‘tight’ hamstrings, these muscles function almost like springs, to help jump higher or run faster. It rather appears that tight hamstrings aren’t the issue, it’s how well these tight hamstrings can cope with stretching that determines whether or not you’ll have back pain. Studies have found that people with chronic back pain tend to use their hamstrings instead of their gluteal muscles to extend the hip, which can increase the amount of force on the spine during squatting- correcting this is going to be a fundamental aspect of care. Interestingly, back pain also wasn’t found to be definitively linked with leg length discrepancies even in cases where the difference in length was 5cm! 5. 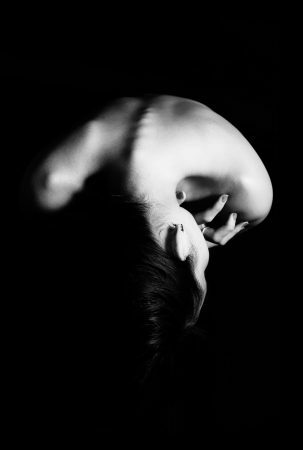 Scoliosis= A lifetime of back issues? the tests for assessing scoliosis have a false positive rate of at least 60%, and the statistical risk of having a scoliosis that requires treatment is only 0.2%. Why are we telling you this? Because once we’re told we have a “condition” it becomes ingrained in us. Part of who we are. So time and time again we see adults who tell us they have a “scoliosis”, and have been plagued by a lifetime of avoiding activities because of their diagnosis, when mild scoliosis (less than 30 degrees deviation) may simply be monitored and treated with exercise. Sure, it feels good, lying on the floor pulling your knees into your chest. Depending on your diagnosis, it might even be the right exercise for you, but if you’re one of the many patients I see who doesn’t cope well with forward bending, this exercise isn’t ideal. Why? Because pulling the knees to the chest gives you the perception of relief from your lower back pain (because the stretch receptors in your erector spinae muscles are stimulated) but this type of exercises causes more cumulative damage to the discs, leading to increased pain and stiffness the next day. As practitioners, we know to eliminate these type of exercises and prescribe ones appropriate for your needs- in fact this bespoke rehabilitation plan is one of the main benefits of coming to see a chiropractor. As you can see, misleading information and advice regarding back pain can lead to us performing the very movements that worsen our back pain in our attempts to get it better. 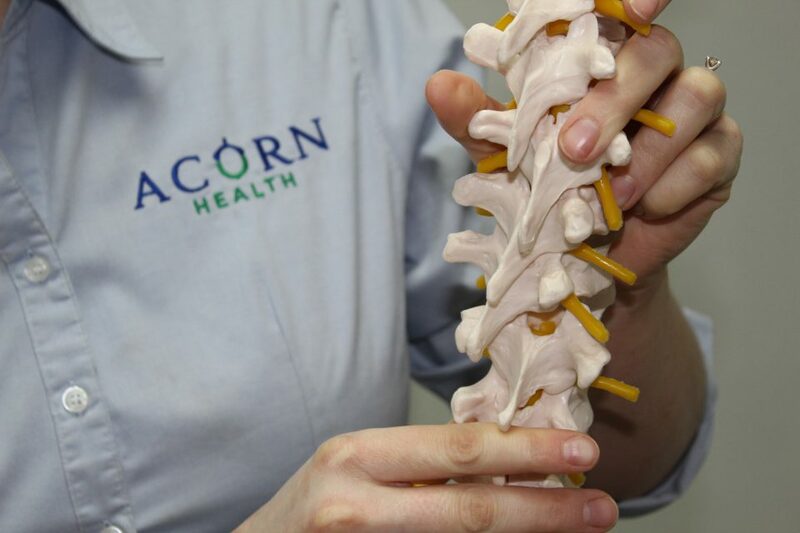 Ensuring you have an accurate diagnosis, treatment plan and rehabilitation strategy is vital to recovery.No treatment plan can be truly successful without incorporating spinal rehabilitation exercises that work to remove the faulty movement patterns that cause back pain problems. We have to work with our clients to ensure that we incorporate exercises that help you build the capacity of the muscles in your back to cope with the tasks you ask of it each day. As you can imagine, each persons’ day is different, and so your treatment plan will be too. Book your appointment with our chiropractor here.